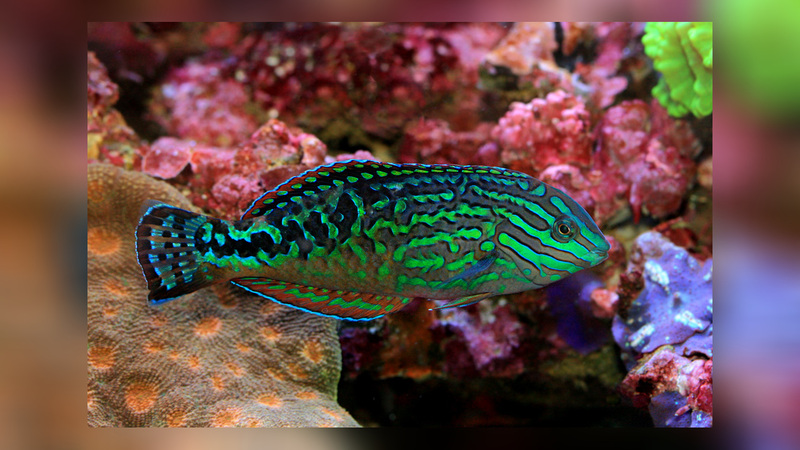 The Blue Star Leopard Wrasse, also known as the Vermiculite Wrasse, or Divided Wrasse, has a distinct color pattern. 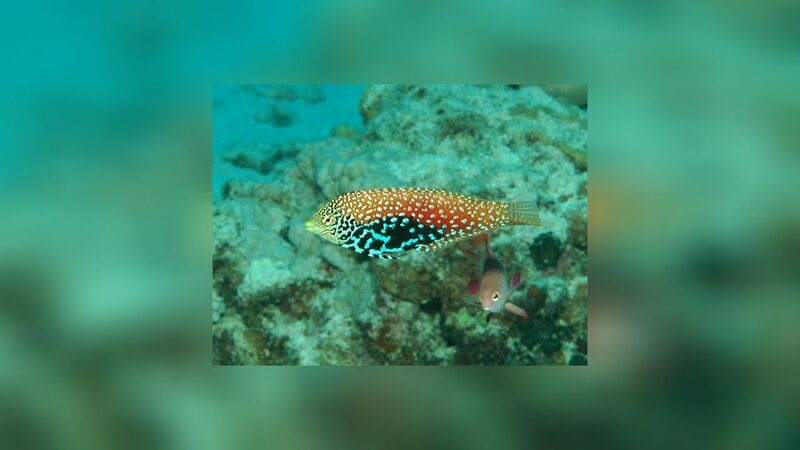 It is a combination of mottled oranges, yellows, and browns, with light blue spots found throughout the pattern. 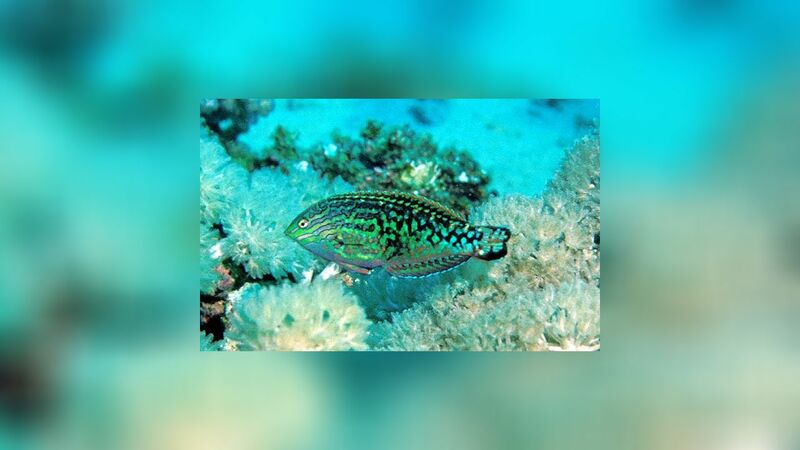 The Blue Star Leopard Wrasse is difficult to keep because of its eating habits, relying on small invertebrates (foraminiferans and amphiopods). 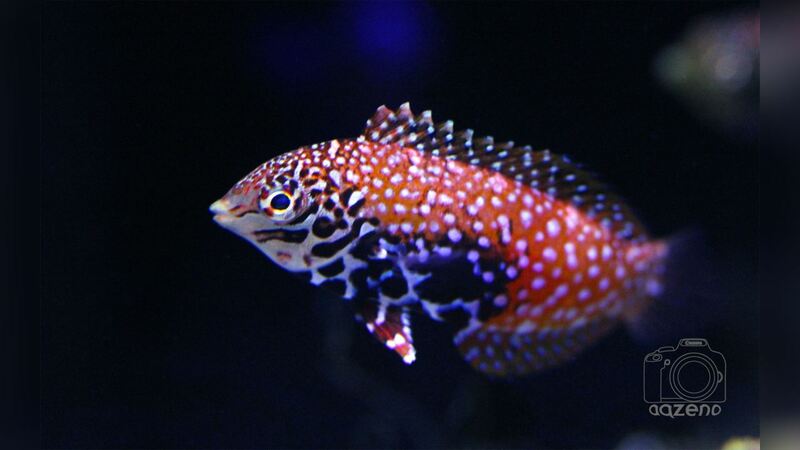 It needs a 50 gallon or larger aquarium with well established live rock. 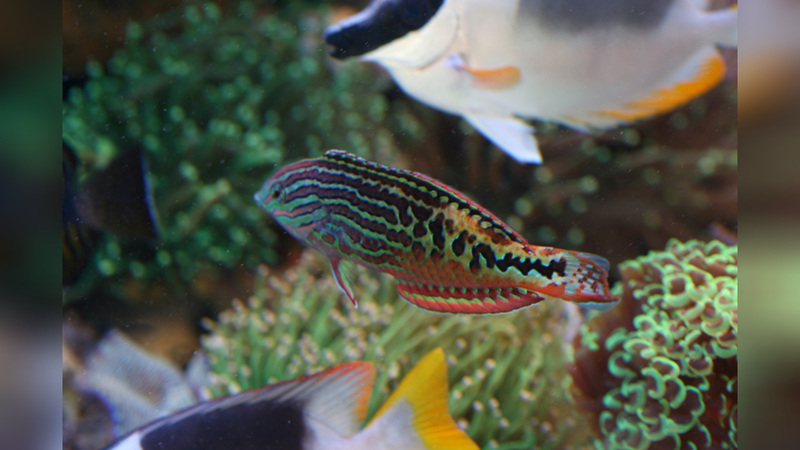 It also requires a layer of live sand, with other peaceful tank mates.